Exclusive: Three-week film rental row between major distributor and exhibitor hitting box-office. Finland’s current B.O. champion, the local comedy Man and a Baby produced by Solar Films has lost more than half its predicted income. 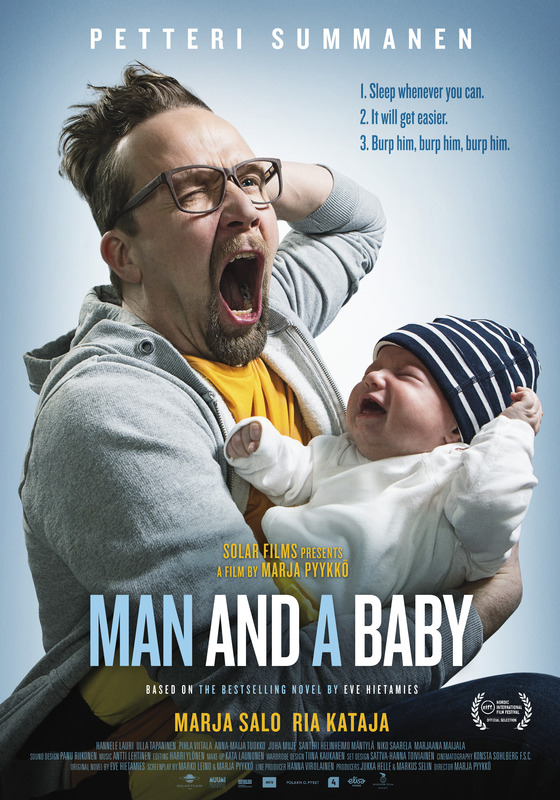 Markus Selin, the Finnish film mogul and head of Solar Films, should be celebrating the success of his latest comedy Man and a Baby (Yösyöttö) by Marja Pyykkö which just won Best Nordic Film at New York’s Nordic International Film Festival and is ruling at the Finnish B.O., with 107 918 admissions, ahead of My Little Pony – The Movie and Blade Runner 2049. Instead the producer is frustrated and angry. Because of a dispute between the film’s distributor Nordisk Film and Finland’s leading cinema chain Finnkino which controls about 70% of Finnish screens, Man and a Baby has been prevented from playing at Finnkino’s cinemas and lost at least half of its potential revenues. “We were expecting more than 200 000 admissions at this point, but maybe the worse is yet to come”, laments Selin. “On Friday The Unknown Soldier [one of the most anticipated Finnish films of the year] opens wide and most cinemas – will remove our film because of their prior engagement with SF Studios [distributor of The Unknown Soldier]. Consequently, our film which is number one at the B.O., could very well find itself without a single screen, which is unheard of!” said Selin. The dispute started in the spring, when the exhibition group Finnkino – part of AMC, majority owned by the Chinese Wanda Group – asked to renegotiate with Nordisk Film Finland the level of film rentals to get a higher share of film revenues (both parties declined to unclose the levels of rentals negotiated). Selin said the Finnish comedy which is number one in Finland for the second weekend in a row, is now playing in 106 screens – a mix of small repertoire cinemas, to school auditoriums, concert halls… ”Any venue that had never shown a movie before! The audience struggles to find the film, so we’ve hired buses to get people to the screening venues,” noted the producer.